Tricot Media Display - Fabric Depot Co.
Promote your company today and give your customers a first hand "look and feel" of the high quality, Made in the USA, 40 Denier, Nylon Tricot fabric that we are known for! 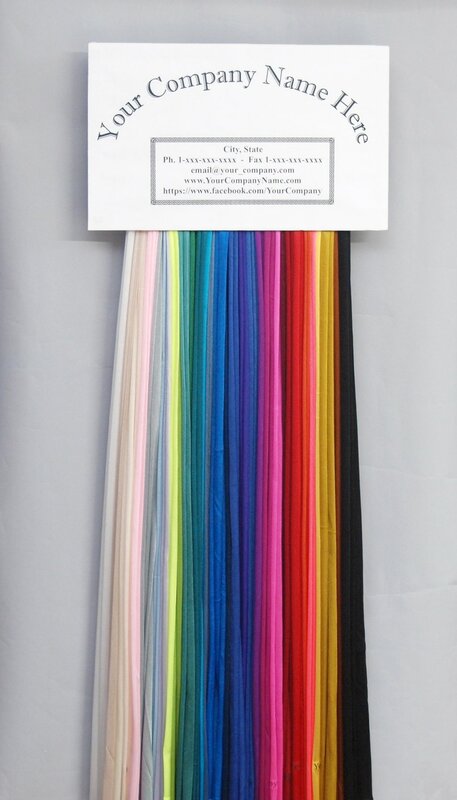 Samples of every tricot color available hung in a 36" long x 14" wide convenient hanging display. Each sample color of tricot measures 36 inches long by 18 inches wide prior to folding for display. 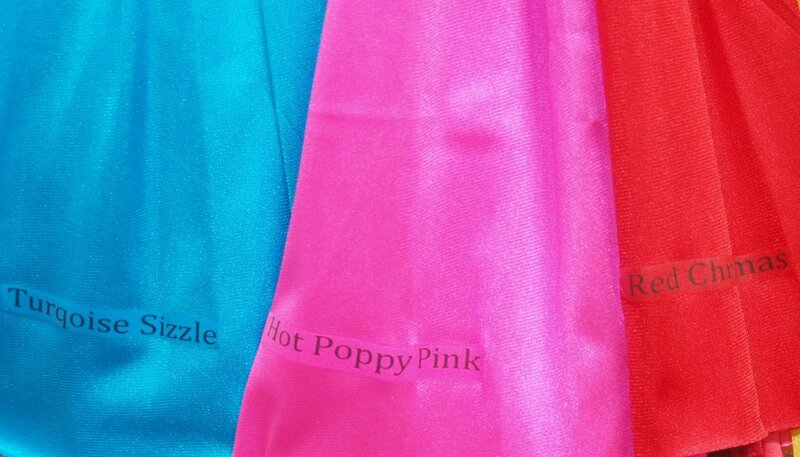 Display can be ordered with or without Fabric Depot color labels on each piece (see image below).